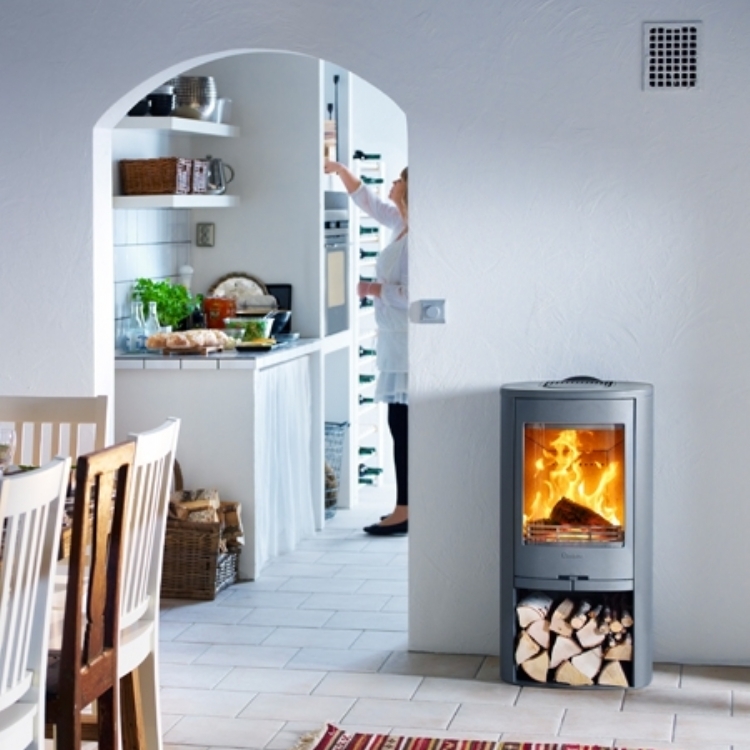 Contura 850 with rear flue wood burning stove installation from Kernow Fires. 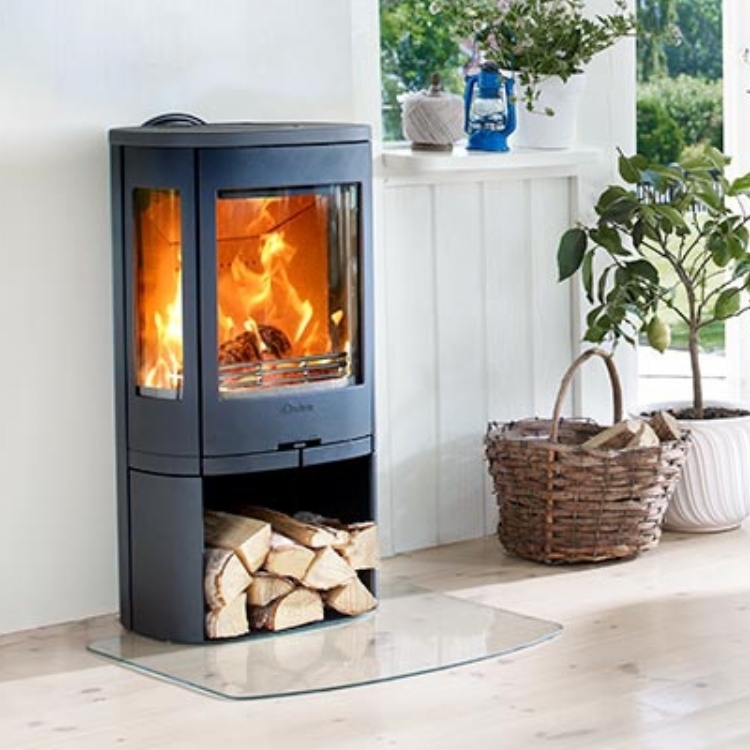 The Contura 810 is a lovely 5kw freestanding fire with a rear exit option. 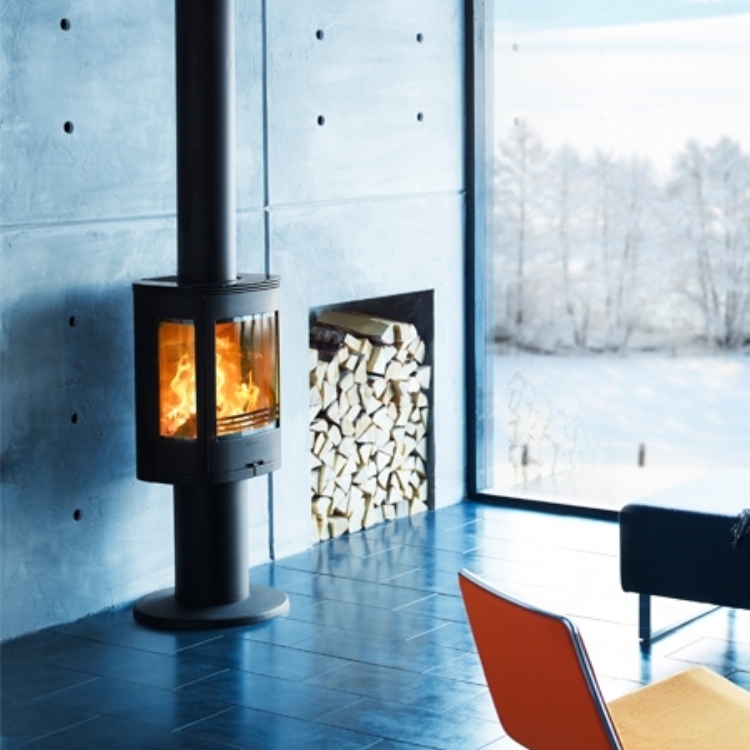 The original fireplace is concealed and relined with a flex liner connecting to the stove through a small piece of solid fuel. 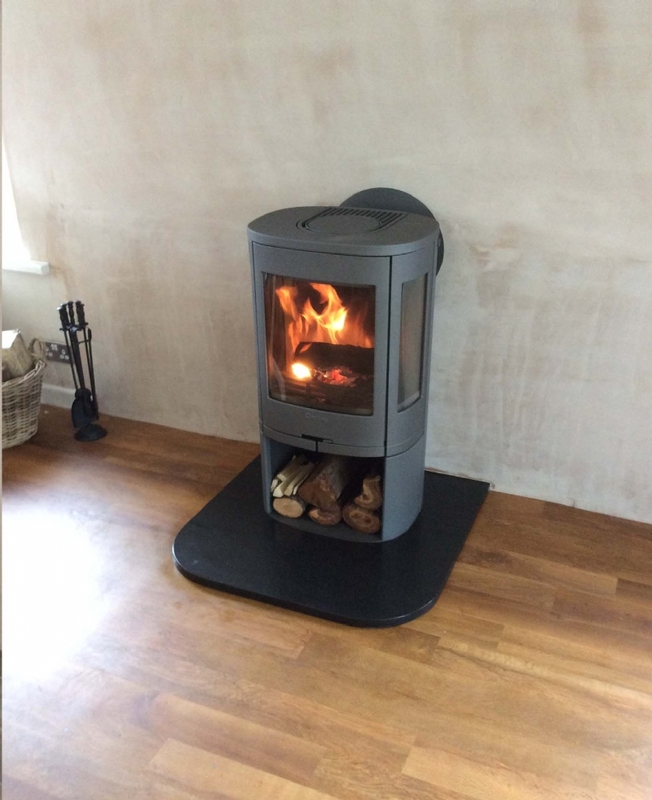 The honed slate hearth was made to order.